I never get booked to play this old rock n roll and soul. I have a heap of it, but the only way you get to play it out is putting on your own parties. So I am doing just that. Teaming up with Dear Pluto and Sonny Syah, this is bound to have you shaking a tail feather into the wee hours of the morning. You know it is going to be a party. 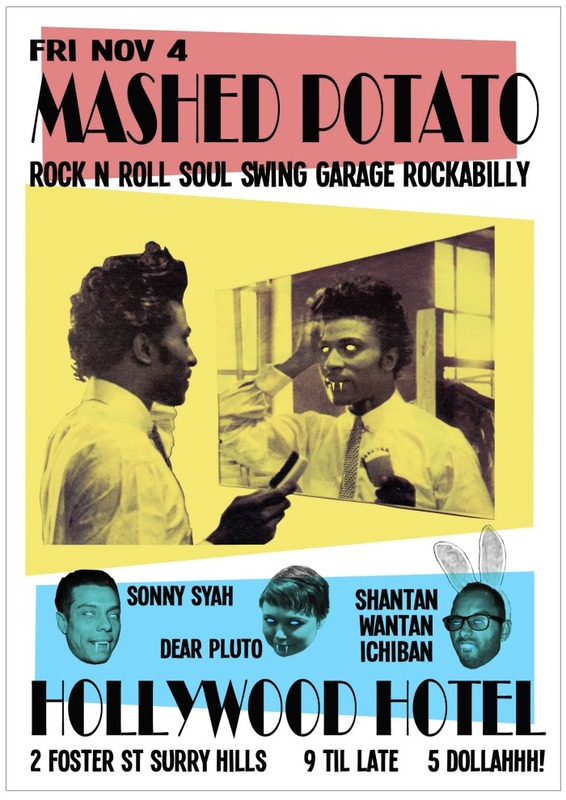 This entry was posted in Events and tagged 2011, dear pluto, friday, garage, hollywood hotel, mashed potato, november 4, rock n roll, rockabilliy, shantan wantan ichiban, sonny syah, soul, swing. Bookmark the permalink.